Carnitas literally means “little meats”, and is a staple of Mexican cuisine that originates from the state of Michoacán. 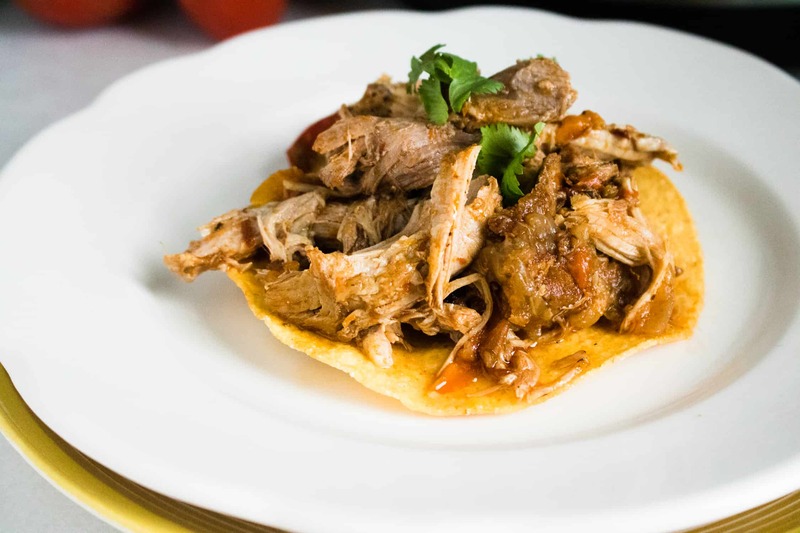 Carnitas is traditionally made by slowly braising or simmering pork, and the result is very tender, juicy, shreddable meat. 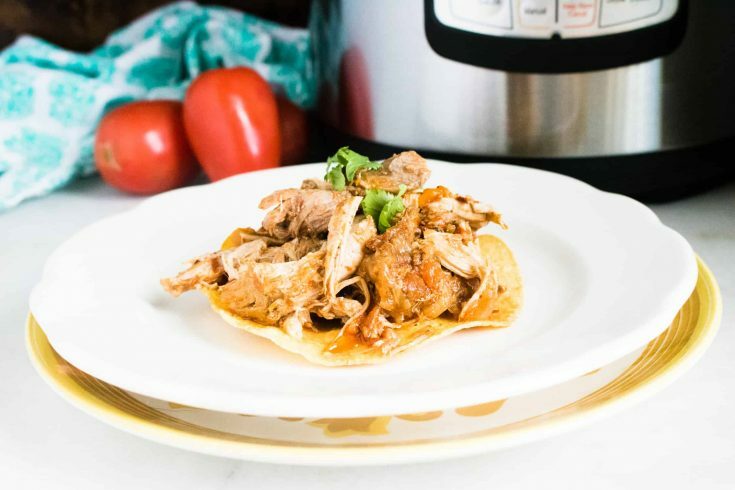 The cooking process typically takes four hours, but thanks to the wonder that is the Instant Pot, this flavorful dish is ready to serve in just half the time of the traditional method! Traditional pork carnitas is served with salsa, guacamole, corn tortillas, refried beans, and topped with chopped cilantro and diced onion. If you’re feeling adventurous, try serving your Instant Pot Porks Carnitas with delicious Mexican Rice with Stuffed Peppers or pairing it with these delectable Black Bean Goat Cheese Quesadillas. Step #1: On sauté mode, sear meat on both sides and then turn sauté off. Step #2: Combine remaining ingredients in the Instant Pot. Step #3: Close the lid and turn the valve to sealing (not venting) position. Step #4: Set to a manual high time for 80 minutes. When the cooking time has finished, allow for a manual pressure release before removing meat from the pot to shred. 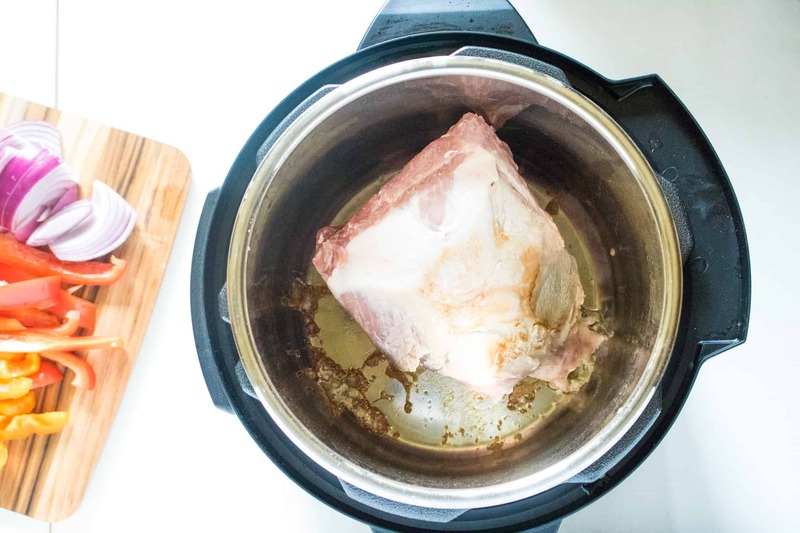 Step #5: Once meat has been shredded, place in a serving dish, and add the juices and seasonings from the Instant Pot. Enjoy! 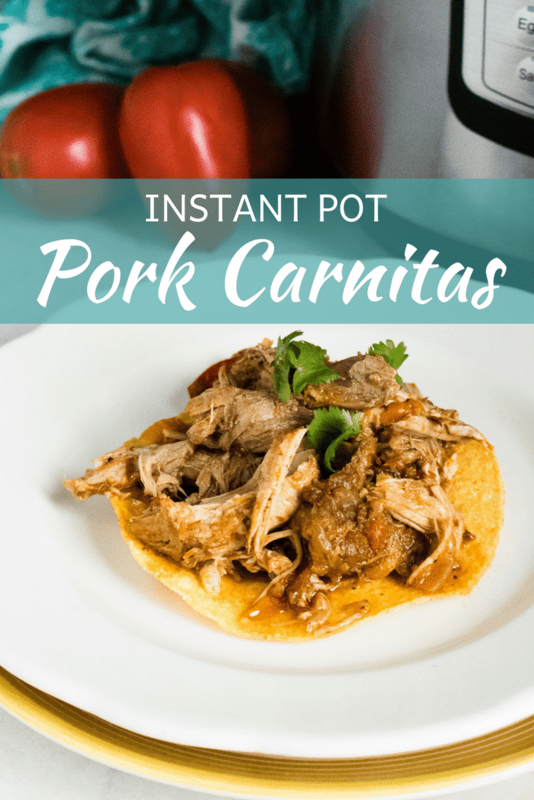 Tender, satisfying, and full of traditional carnitas flavor that is ready to enjoy in no time! On sauté mode, sear meat on both sides and then turn sauté off. 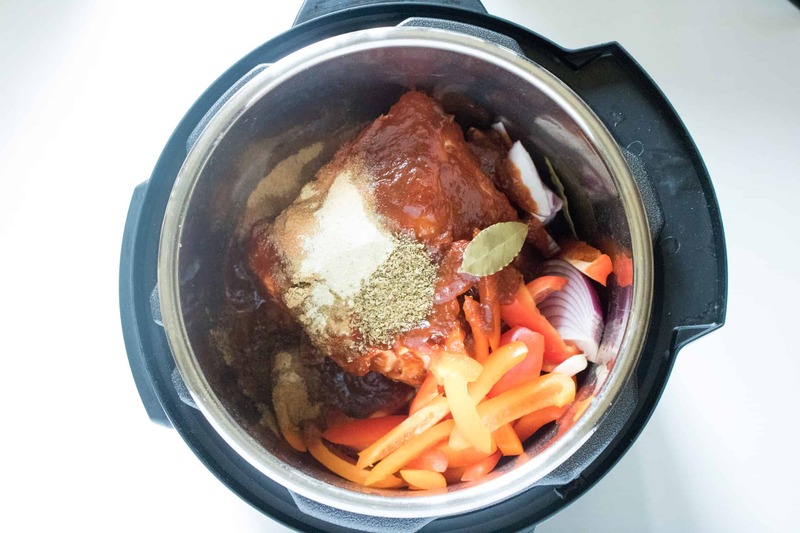 Combine remaining ingredients in the Instant Pot. Close the lid and turn the valve to sealing (not venting) position. Set to a manual high time for 80 minutes. When the cooking time has finished, allow for a manual pressure release before removing meat from the pot to shred. 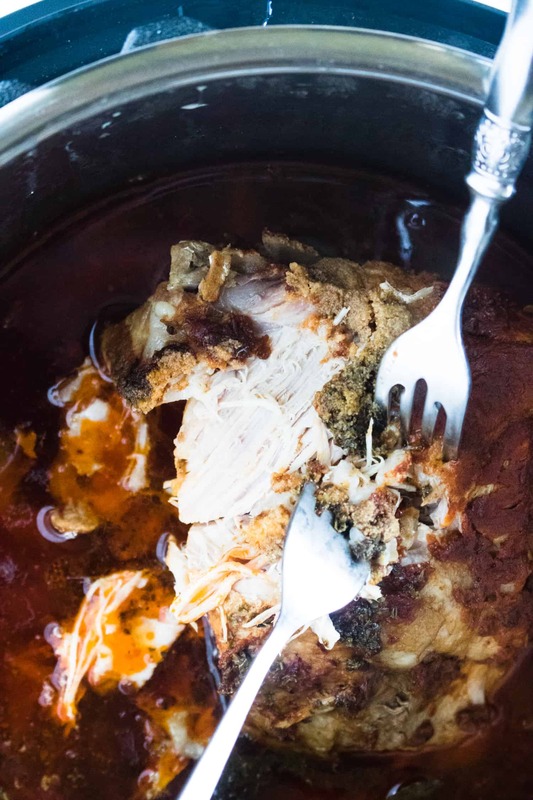 Once meat has been shredded, place in a serving dish, and add the juices and seasonings from the Instant Pot.